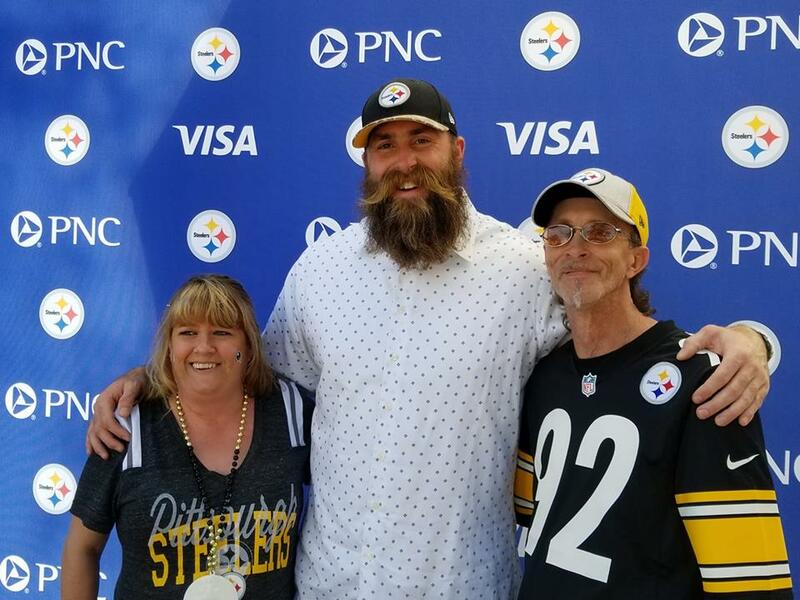 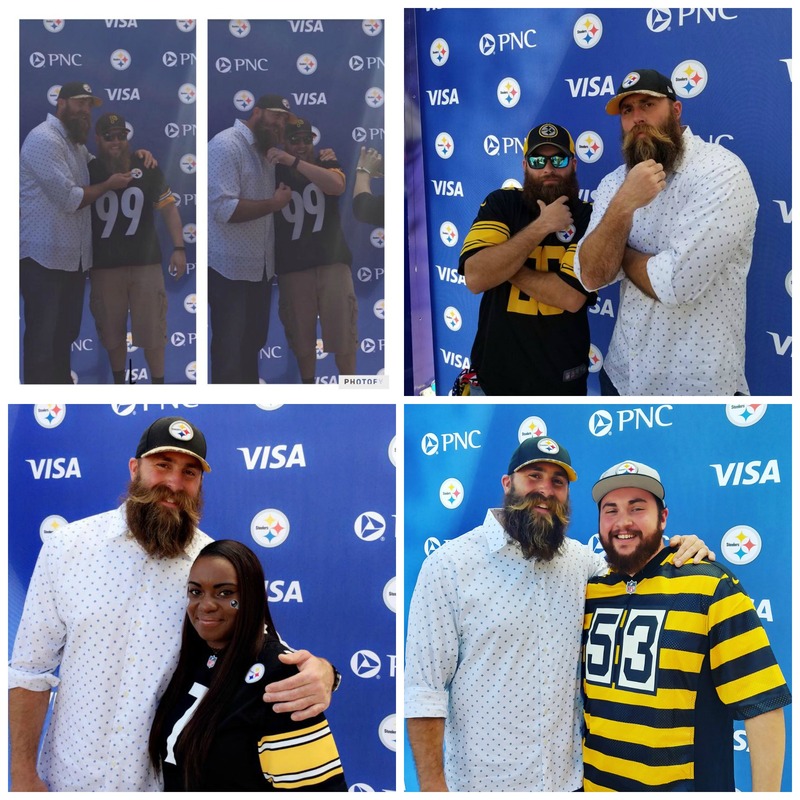 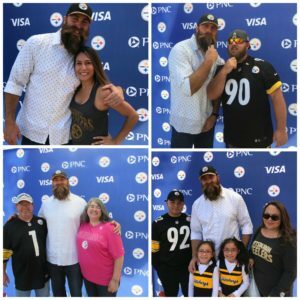 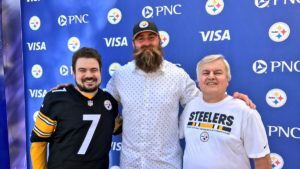 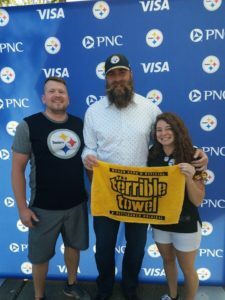 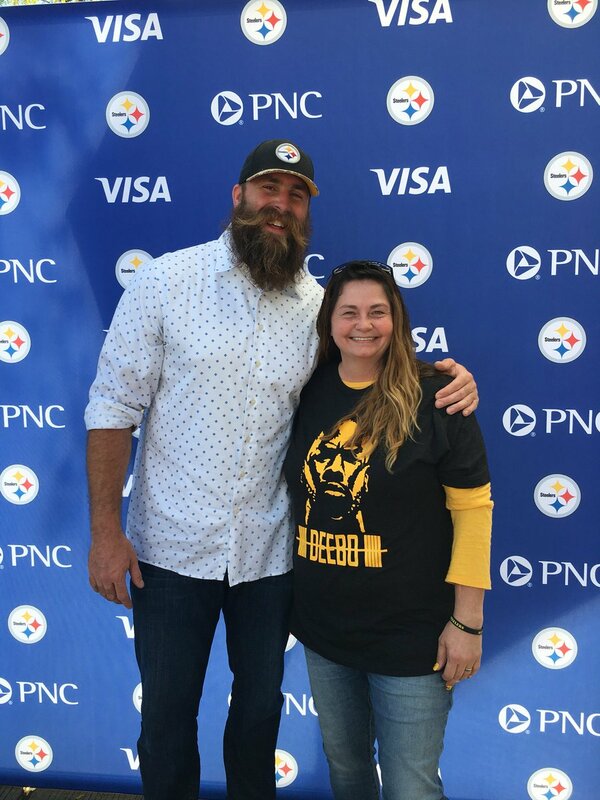 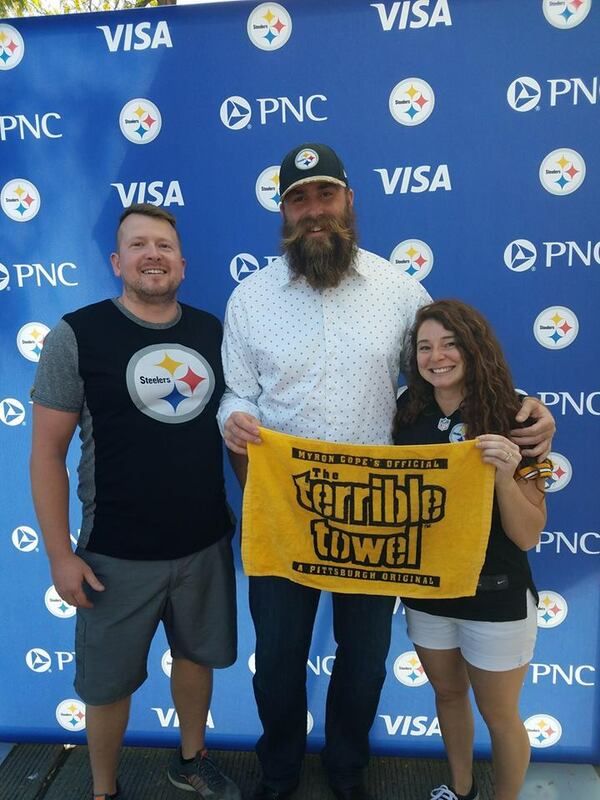 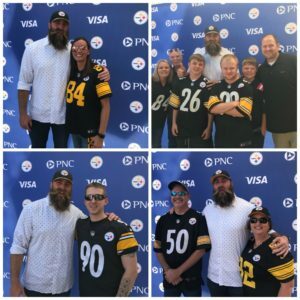 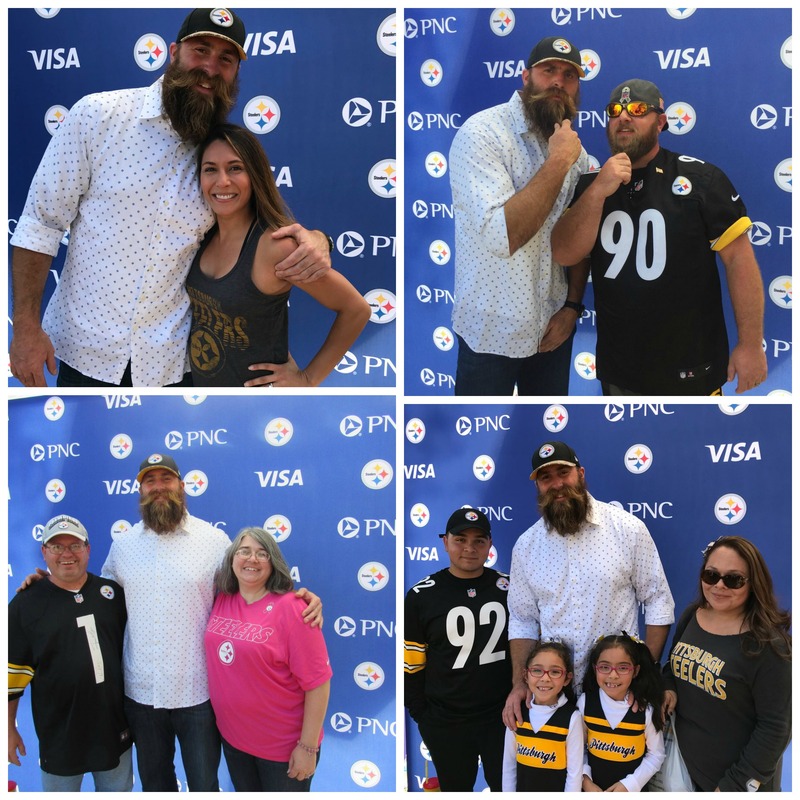 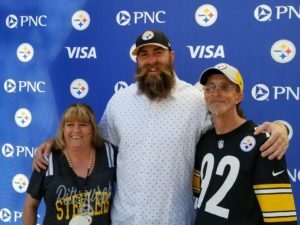 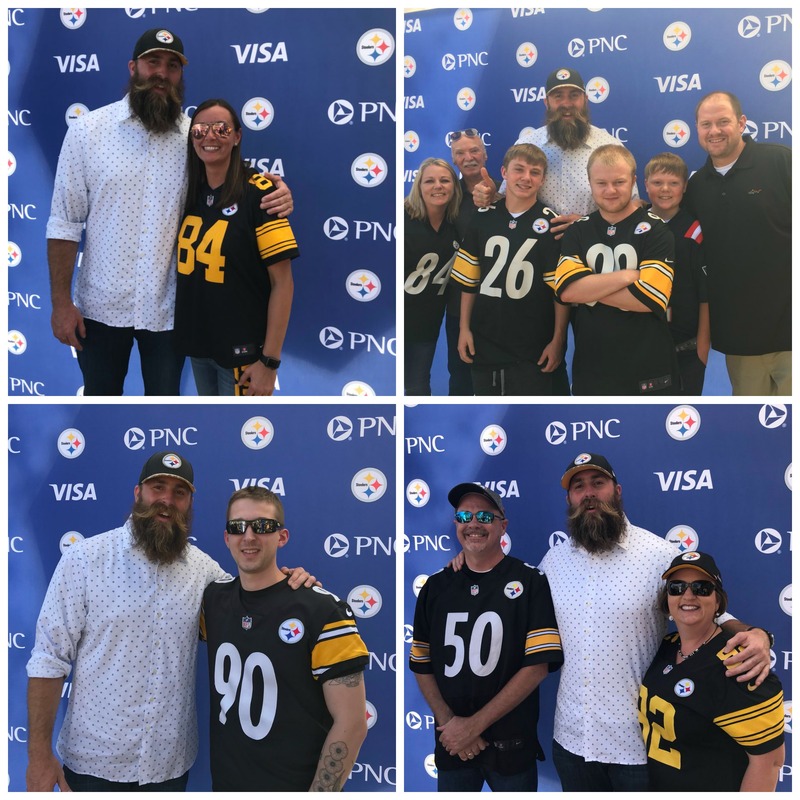 Brett hung out with some awesome Steelers fans before the game today. 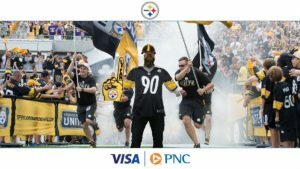 Fans were able to try on gear in an amazing virtual fitting room courtesy of PNC Bank and VISA. 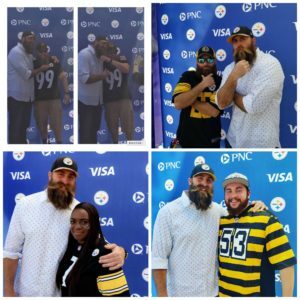 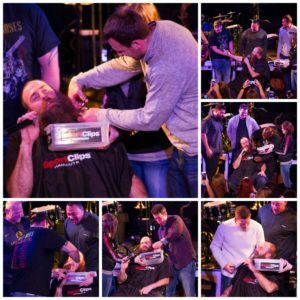 Brett even got to have a little fun with it posing as TJ Watt! 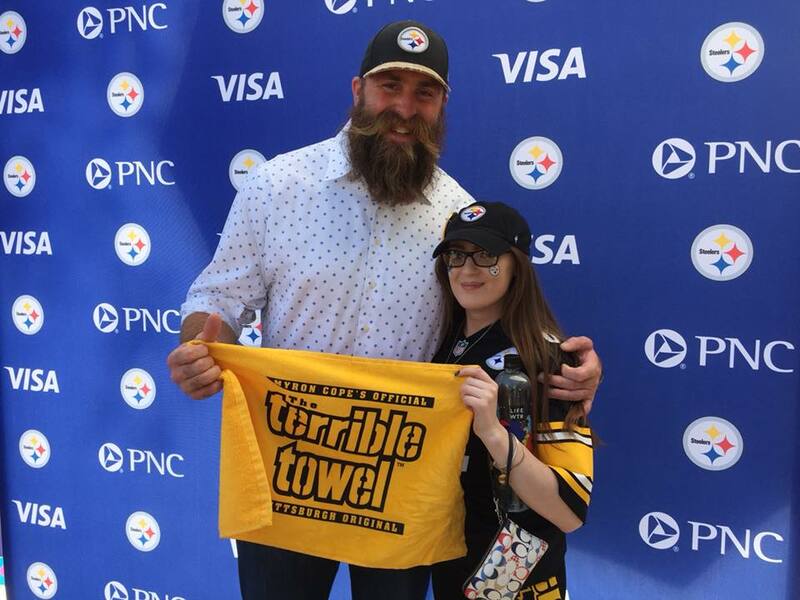 No Erika, there’s no crying in football!